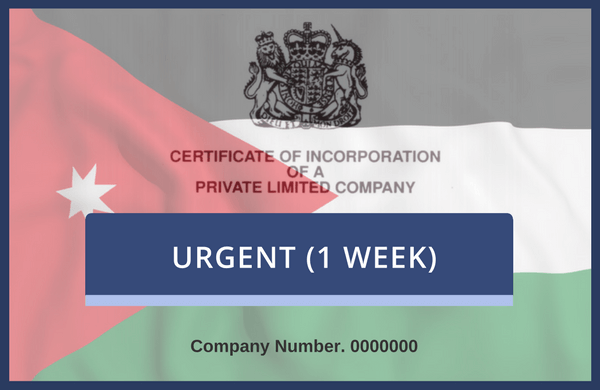 Choose this service to have a company document legalised for use in Jordan. Includes certification beforehand by a solicitor. This is our urgent 1-week service. All Jordan Embassy, Chambers of Commerce and UK government dispersements are included within the service fee. Our staff will hand deliver your document(s) to each department in person as part of this urgent service.